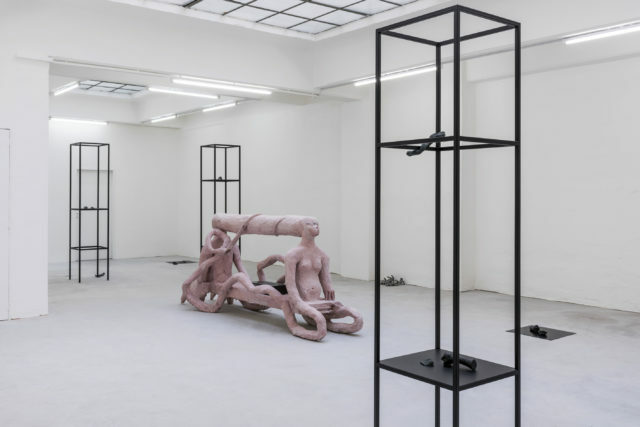 In the past couple of years, Vienna’s contemporary art scene has experienced a surprising growth; this was recently discussed by curator Franziska Sophie Wildförster in her article If The World Ends Tomorrow, I Would Go to Vienna. The first part, from a series of three pieces on the local art world dynamics, sheds light on these new initiatives while acknowledging the major impulses given by defunct contemporary art related projects, such as HHDHM. In a city visitors often experience as conservative, the emergence of new galleries and art spaces, often run with a sharp curatorial emphasis and / or by artists, feels like a move that many in the Austrian capital have been longing for. Many of these new places are run by women, revealing a common disparity of labour and recognition across gendered lines. Austria stands at a disappointing 21st position (out of 33, the number of countries part of the OECD) in PwC’s 2017 Women in Work Index. The country’s gender pay gap is 21.5 per cent; not long ago, the addition of the word “Töchter” (Daughters) to a line of the country’s national anthem, which formerly only mentioned Austria as “home of great sons,” sparked an intense debate on its necessity and coherence. 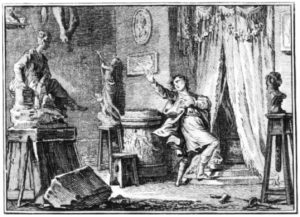 Examples of great Austrian women are of course countless, but still, the conservative political and societal forces were scandalized by what they considered an unnecessary adaptation. Yet, women are surprisingly well-represented in the Viennese art world and cultural sector. 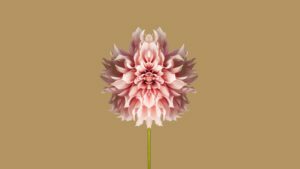 The Mumok, the Kunsthistorisches Museum and the Belvedere, all three major european institutions, are managed by female directors. So is Francesca Habsburg’s foundation TBA21, as well as some of the country’s most established galleries such as Ursula Krinzinger, Rosemarie Schwarzwälder and Christine König. These places were founded before 2000, and especially in the case of Krinzinger (founded in 1971) and Schwarzwälder (1984), one can only imagine the fight they had to lead to be recognised by their peers and the famously sceptical Viennese public. This strong female leadership within institutions and the gallery scene may have served as fertile terrain for the younger generation. 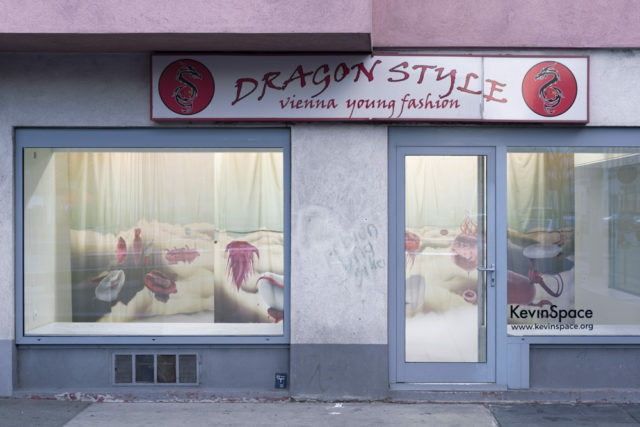 Take for example Kevin Space, run by a collective of four curators: Fanny Hauser, Carolina Nöbauer, Denise Helene Sumi and Franziska Sophie Wildförster. Located in Vienna’s multicultural (and formerly predominantly Jewish) second district, Kevin Space “tests out the potential of the art space as a dynamic space of encounter.” On a recent opening night, this adage was brilliantly illustrated: in the group show on view, titled Amazing Girls / It’s Complicated, 12 artists explored the consequences of the digital age on our conception of privacy; this included sexually explicit work, such as Zuzanna Czebatul’s stone reliefs or Urara Tsuchiya’s porcelains. Rather than shielding away the parents and children playing on the square where Kevin Space is located, the organizers apply an open-door policy, encouraging neighbors, especially the younger ones, to visit the exhibition and take time to explain what concepts and ideas inform it. As a result, art crowd and locals mix, creating a rare permeability between social and cultural structures. Another place located in an area not traditionally dense with galleries is Gianni Manhattan. There, founder and director Laura Windhager has managed to carve out a unique profile within only five months of existence, exhibiting promising young artists such as Barbara Kapusta, Matthieu Haberard and Nils-Alix Tabeling. Informed by Windhager’s interest in exploring transdisciplinary narratives, the gallery also works as a publishing house. On view until July 8 is Simon Mathers’ show You are Underground, which will be followed by a solo presentation of works by Jamie Sneider exploring pagan feminism, especially the mysterious Tarantism rituals of Southern Italy. Not far from Gianni Manhattan is mauve, a curatorial project by Titania Seidl & Lukas Thaler. 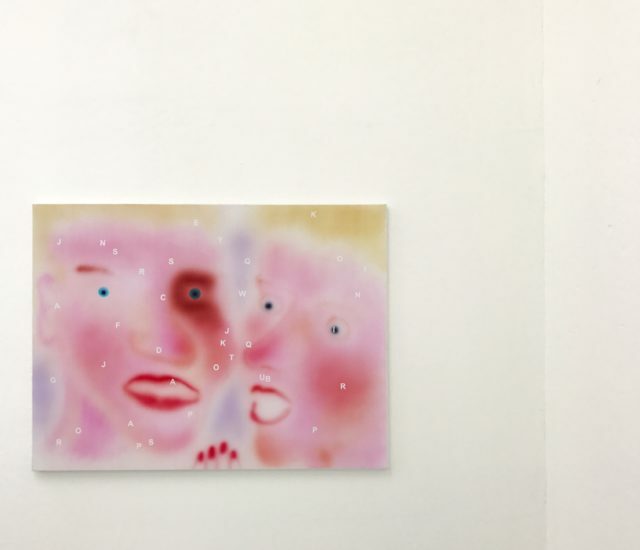 As a semi-nomadic space, mauve has held shows in Newcastle, Los Angeles and Brussels; they’ve exhibited mostly Austrian artists, such as Anna-Sophie Berger or Julia Wallisch, offering them a platform on which to move freely. Both Seidl and Thaler are artists themselves; running since 2012, their exhibitions draws crowds and manage to convey a down-to-earth, easygoing yet multi-layered atmosphere which could be described as quintessentially viennese. Close to Naschmarkt, the city’s busy market and social gathering spot, Nathalie Halgand has operated her namesake gallery since 2016. The program’s fortitude is a testament to her character. Indeed, Halgand has put together an eclectic program with mostly young artists such as Greek abstract painter Yorgos Stamkopoulos – a rather risky move in a scene mildly caught in its obsession with loud, gutsy art since the heyday of Viennese actionism – or the American Signe Pierce, whose saturated yet reduced installations address uncomfortable aspects of girlhood. Just recently, a show of new works by Anna Virnich opened to the public. In it, the German artist investigates the physicality of space through the use of organic materials such as beeswax and calf leather. 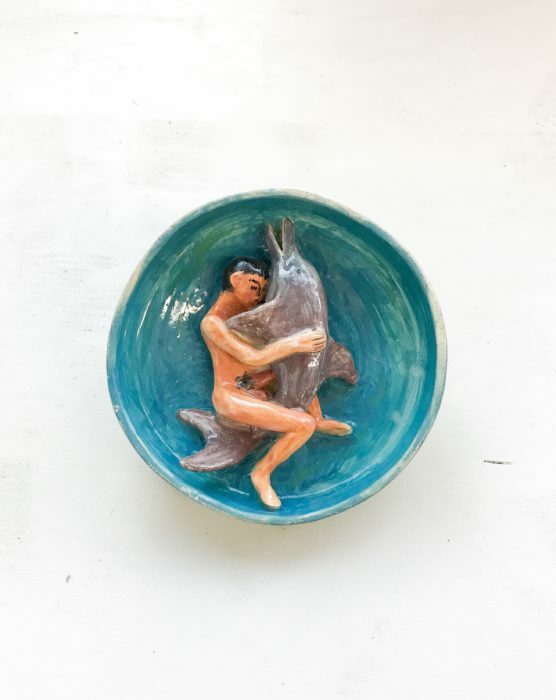 Sophie Tappeiner just opened her gallery with a group show humorously titled To figure it out, including works by Kiki Kogelnik, Jala Wahid and Lucia Elena Prusa among others, and curated by Barbara Rüdiger. Ilaria Leoni and Flavia Culcasi run Ermes Ermes, where a much-lauded exhibition by Swiss artist Gina Folly closed a few weeks ago. Lisa Kandlhofer has attracted quite some attention thanks to an ambitious vision she realizes in her massive space right next to Karlsplatz, one of the city’s neuralgic spots. 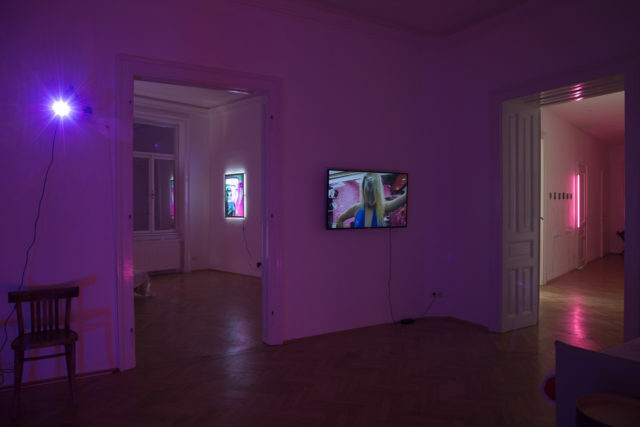 Croy Nielsen, founded by Oliver Croy and Henrikke Nielsen, has recently moved from Berlin to Vienna, where it now occupies a turn-of-the-century apartment, surprisingly fitting for their always challenging and conceptually rich exhibitions. The non-profit spaces Pina, New Jörg and Pferd have been putting together noted shows of both international and local young artists; and Emanuel Layr has established itself as the place where work by some of today’s most interesting emerging positions such as Cecile B. Evans, Lili Reynaud Dewar or Philipp Timischl can be seen. 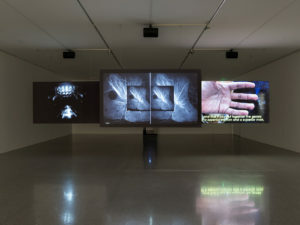 Simon Mathers You are Underground (2017) Installation view. Courtesy the artist + Gianni Manhattan, Vienna.